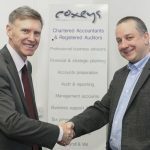 Merger adds up to expansion for North Wales accountants | News by Wales Express News, People Before Profit! One of the region’s best-known accountancy firms is expanding and merging with a practice in Chester. According to Coxeys, which has offices in Wrexham and Saltney, the city’s branch of the Hall Livesey Brown group is the “perfect fit” for their ambitious growth plans. The Chester operation will still be based at their offices in Nicholas Street but will be rebranded as Coxeys. Meanwhile, the other branches of Hall Livesey Brown in Tarporley, Rossett and Shrewsbury will be unaffected and continue to trade separately. Coxeys was originally founded in 1927 as W. Cross and Co and changed its name in 1974 when Michael Coxey took it over. The merger with the Chester branch of Hall Livesey Brown is being masterminded by Coxeys managing director Anthony Lewis who joined the firm in 1998. Coxeys, which employs 29 people including eight qualified accountants, also has a book-keeping arm called Business Essentials. The firm’s clients range from sole traders to large multi-national companies with multi-million-pound turnovers. Mr Lewis, a chartered accountant, said: “Moving into Chester is something we have been considering for a number of years and we have been waiting for a practice that would be a good fit with how we operate here. “Having met with Charles Parsons, who is a partner of Hall Livesey Brown in Chester, we realised that they have very similar working methods to us. “They have a superb team of six staff and an excellent client base which we will be hoping to grow. “Led by Charles, there are no plans for any staff changes so the continuity of service will be seamless. “They have the same work ethic as we do, and we want to look after them and make sure they have a good future going forward. “The clients are obviously the most important element in the business and, because we have a complementary skill-set, we will now be able to offer them a broader range of services and the back-up of a larger team. 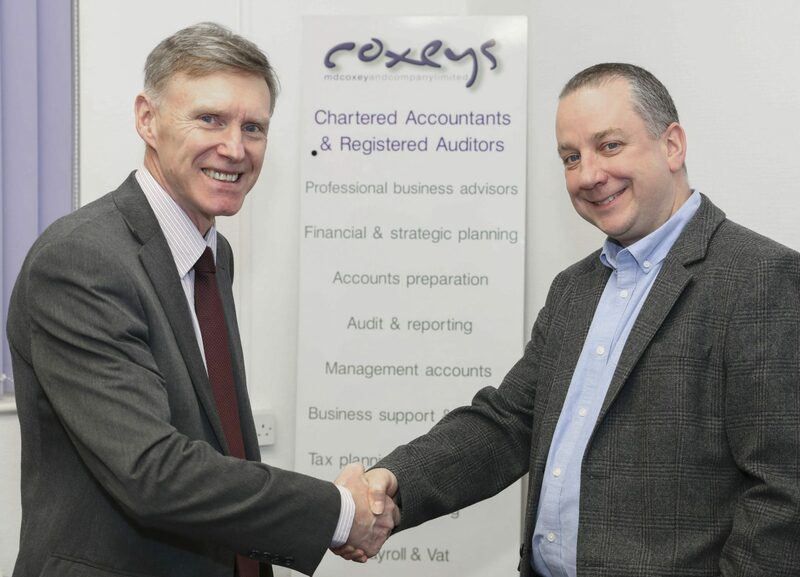 “Coxeys is a training firm for both the Institute of Chartered Accountants in England and Wales and the Association of Chartered Certified Accountants. “In Chester they have trainees who are looking to qualify as chartered accountants and we will be able to help them achieve their goal to ensure that there is a new generation of accountants coming through in this area. We have trained a huge number of chartered and certified accountants and recently Gruffydd Hughes, one of our chartered accountants in Wrexham, has also qualified as a Chartered Tax Accountant. “We also have a great deal of experience as Michael Coxey is still working with us as is Peter McVeigh who joined in 1988.
staff and make sure that we have a happy team. “Our aim at all times is to put the client first and give them metropolitan quality services at provincial prices. “Everybody gets the same level of service and the same commitment from us, and the same high level of professionalism. Becoming part of Coxeys was, said Charles Parsons, an exciting opportunity for the team in Chester. He said: “From our perspective, we want to expand within Chester. I think it is a very good combination to set up with Coxeys because we’ll be able to share resources between Wrexham, Saltney and Chester. “Whereas at the moment we operate autonomously we’ll now feel part of a bigger team and I think we can also bring a lot to Coxeys. “They, for instance, have the ability to do auditing which we currently don’t do but we have a lot of tax knowledge and specialisms which we can bring and help them. “The staff have met and the feedback was really positive and it’s clear we’re all on the same wavelength. “The team in Chester will remain the same and so we will continue to deal with clients in exactly the same way as we’ve always done.